After serving as executive director for the Spokane County Democrats for more than a year, Jim CastroLang has resigned amid a major campaign finance controversy. Jim CastroLang had his dream job. He'd spent more than a year at the helm, eager to prove how being the paid executive director could transform the Spokane County Democrats for the better. And with the election of Donald Trump invigorating local Democrats, CastroLang was to be the behind-the-scenes figure turning new enthusiasm into fundraising dollars and organizational growth. Then it all came crashing down. Andrew Biviano, chair of the Spokane County Democrats, stands at the podium on April 1 and reads a letter to a crowd of party officers. "There is a significant complaint filed against us with the Public Disclosure Commission," Biviano says, reading the letter by CastroLang. "The complainant is a west side, right-wing Freedom Foundation attack dog who received covert support from some local would-be-friends." But while CastroLang insisted that none of the mistakes were intentional, this letter was not about mounting a defense. It was CastroLang announcing his resignation. In 2016, Spokane County Democrats had gone a half-year without the treasurer filing a single Public Disclosure Commission report — and the other half without a treasurer at all. When the filings did begin to stream in, they had severe problems. CastroLang's salary wasn't reported. Neither were several major donations. The treasurer's signature had appeared on reports he'd never seen. And now, the Washington state Attorney General's office is investigating whether the party broke state campaign finance law — a determination that could cost the party thousands of dollars. As party officials have scrambled to respond, the controversy has inflamed existing divisions among local Democrats and thrown their operating structure into question. "Politics can be a mean business. Surely, I feel that personally now," CastroLang writes in his letter. "Our biggest risk is dividing ourselves and dooming the achievement of our differences of personality, policy and strategy. Please work it out with the deepest respect for every person. Too much is at stake." 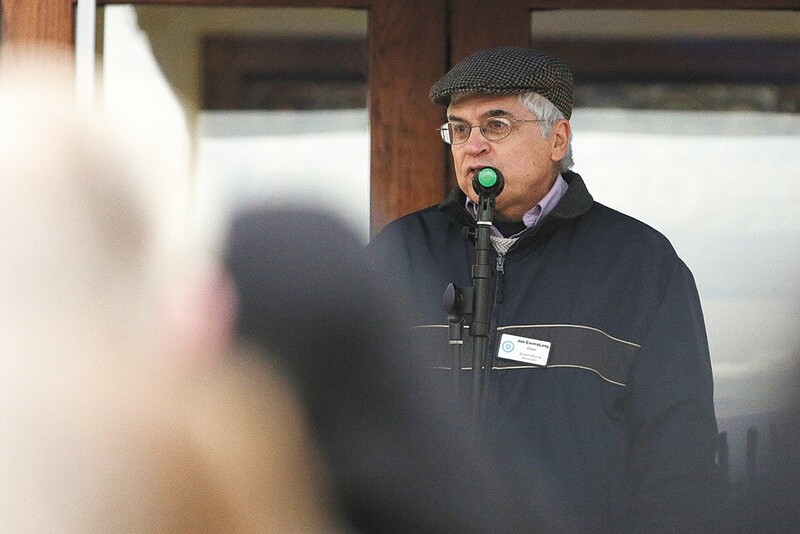 Most of the dozens of PDC complaints filed by Glen Morgan, a Republican activist from Thurston County, against Democrats are, admittedly, part performance art. While formerly with the conservative Freedom Foundation, he's been subject of more than one PDC complaint himself, and he wants to make a larger point: All have sinned and fallen short of the glory of the state's Byzantine campaign finance rules. "Every single person who has run for office or is running for office has violated the statute," Morgan says. He estimates he's fired off more than 50 PDC complaints, but the one against the Spokane County Democrats was different. First of all, Morgan got access to internal party documents — several Democrats suspect that someone within the party had leaked them. And second, Morgan says, the problems were so catastrophically severe as to make his other complaints pale in comparison. That includes the complaint against state Speaker of the House Frank Chopp that resulted in a nearly $6,500 penalty. "It was the worst case I ever came across. It was so bad and the violations were so numerous," Morgan says. 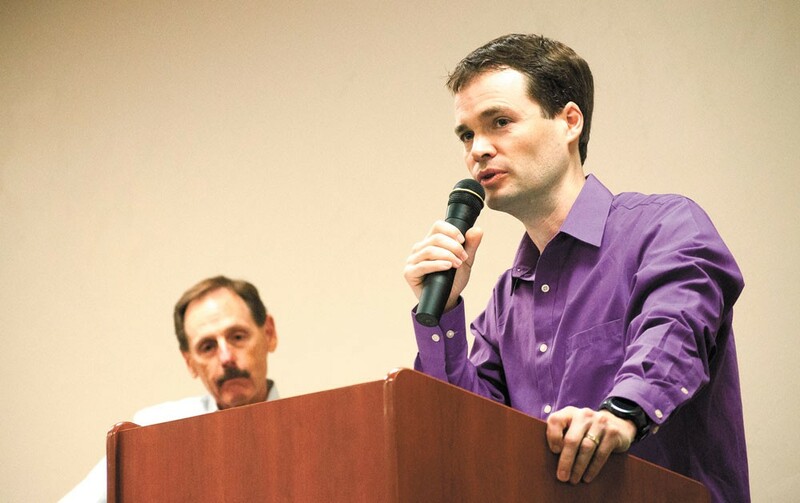 "Under no scenario would the behaviors of the Spokane County Democrats ever be acceptable." He couldn't believe that the local GOP hadn't noticed. "Where the hell were the Spokane County Republicans?" Morgan says. "If they had a single person over there that didn't have their head in the sand, they would be on top of this." His complaint stretches 55 pages and includes meeting minutes, spreadsheets, and hundreds of examples of violations. In Morgan's telling, CastroLang's actions were "willfully malicious," a sordid series of cover-ups intended to hide donations from groups like the Washington Education Association, the Spokane Tribe, and the local firefighters' union and use it to "pay the secret salary of Jim CastroLang." In all, he wrote, "a perfect example of what widespread campaign finance law abuse looks like." But the Democrats offer a less sinister story, one about just how quickly mistakes pile up when an organization gets overwhelmed. Spokane County Democrats Chair Andrew Biviano says that CastroLang's skill with fundraising compounded the problem — the flood of donations meant a bigger challenge to report them accurately. CastroLang's salary was never a secret. In fact, for Spokane County Democrats, it was the subject of serious division between the old guard and the new. Sally Jackson, an 85-year-old former chair who says she's been with the party "longer than dirt," was against paying an executive director from the start. To her, you didn't do politics to get paid. "You did it for love of country," Jackson says. But to CastroLang and other local Democrats — including City Council President Ben Stuckart — a paid position was a necessity for the amount of work required. For years, the party had churned through leaders. Two consecutive party chairs only lasted for three months before quitting in exhaustion. By becoming the first paid executive director of a local political party in the state, CastroLang planned to not only provide stability, but raise more funds and grow the party larger than ever. The trial run for the position started in September of 2015. Soon after, CastroLang made a fateful decision: He decided to switch over the party's financial software to NGP VAN — the same company that ran the Democratic National Committee's database system. It could not only track party finances and voters, and allow secure offsite access, it had a feature that allowed the party to easily send reports directly to the Washington state PDC. At least, it was supposed to. Justin Galloway, former volunteer treasurer for the Spokane County Democrats, is not inexperienced when it comes to campaign finance. A certified public accountant, he'd been the Democrats' treasurer since January of 2014. He was the treasurer for Stuckart's city council campaigns in 2011 and 2015. And Galloway wasn't entirely unfamiliar with NGP software. "The first filing he did in 2015 was using NGP's portal," Stuckart says. "Justin talked about how difficult it was." But whether because of time, obstinance or technical snafus, as soon as the Democrats switched over to NGP, Galloway stopped filing PDC reports with the state. Galloway, reticent to speak on the record, only says that new software prevented the upload of the reports, and that, while he reached out to the party for help with the PDC problems, he didn't feel like he'd received it. And during this whole time, there was a presidential election to run. "That's what saddens me the most about the whole entire thing," Biviano says. "The reason [the mistakes] happened is people were focusing on the election. Because they wanted to care about the things that affect people." According to the party's internal investigation, CastroLang didn't put his foot down, demanding in an email that all PDC reports be submitted, until July. In retrospect, CastroLang wonders if he should have been tougher. "I treat volunteers differently than I treat employees," CastroLang says. Officially, Galloway resigned at the end of July. But for the rest of the year, nobody filled the treasurer position. CastroLang says he tried to find a new treasurer, but with so many competent treasurers already tied to election campaigns, nobody wanted to take on such a big responsibility. "In hindsight, it would have been prudent to stop all the presses, and tell the executive board, we can't do anything else [until a treasurer was hired]," CastroLang says. Instead, with occasional help from the former treasurer, CastroLang tried to complete months of unsent PDC reports himself. "All PDC reports are now timely after aggressive catch-up starting in July," CastroLang said, according to October meeting minutes. "No complaints with PDC have been received." In January 2017, a screening committee narrowly recommended hiring a different candidate for the executive director job, but the party decided to stick with CastroLang, for at least the next six months. Only later did the Democrats realize the extent of the damage. In fact, CastroLang had made numerous mistakes, a subsequent review showed. Because accounts weren't set up and information wasn't correctly entered into the software, important donations were never reported to the state. CastroLang says he didn't realize that Galloway's signature, auto-filled by the software, continued to appear on PDC reports after the treasurer's resignation. Small mistakes compounded into huge ones. Take the $6,900 check written to the Spokane County Democrats from the Spokane Firefighters Union PAC in January of last year. State law caps unrestricted donations from a committee to a political party to $5,500 a year. Anything over that can't be used to promote individual candidates, and must be written on a separate check and placed in its own account. The errors started small: CastroLang incorrectly told the Firefighters that they didn't have to write separate checks as long as they declared how much would go into each account. To that, add the fiasco with the treasurer, resulting in the donation being reported more than 200 days late. Top that with the failure to code the restricted account into the new software, resulting in almost half of the donation going unreported to the PDC. And top that with a bookkeeping error that sent an earlier firefighter union donation into the wrong account. For longtime party activists like Dan Lambert, this is an all-too-familiar problem. In 2009, the party, having recently dealt with another package of bookkeeping problems, vowed to be "beyond reproach" going forward. The consequences, Lambert says, aren't just financial or legal — they're political. "My concern is that come midterm elections, we're going to look like a bunch of crooks," Lambert says. "All the Republicans have to do is say, 'Look at the Democrats with their PDC violations and all this stuff.' It's going to be a disaster." It's a fate that Biviano has been trying to avoid for the party. He found a treasurer and formed an audit committee and a financial oversight committee. To prepare their response to the attorney general, volunteers in the party spent hundreds of hours conducting their own forensic accounting, combing through databases, emails and NGP records to figure out what happened. "Our investigation has revealed no evidence of malice," Biviano says. "It wasn't an intent to deceive." Yet, at their meeting this past Monday, the Spokane County Democrats' Executive Board decided to sever ties with CastroLang even faster than planned. CastroLang wanted his last day to be April 30. The board moved it up to April 15. "There comes a time when we have to draw a line in the sand," says Rick Lloyd, legislative chair of the 4th District Democrats. Right now the party is nearly $1,200 in the red, and has authorized up to $5,000 to pay for an attorney to review their PDC response and another $1,000 for an attorney to review CastroLang's response. Behind the scenes, meanwhile, Biviano has been firing off emails, attempting to clamp down on leaks and dissuade members from speaking to the media about the party's internal arguments. "Internal discussions are intended to be internal," he writes, noting that the Democrats' bylaws authorize only the chair to speak for the party. "I don't believe it serves any benefit to gossip about other members of the party in the press." He also tried to quell online debates on the party's internal Google group. "I ask that before you post anything to this list, you ask yourself: 'Am I comfortable with Glen Morgan seeing this, and quoting me on his blog?'" Biviano writes. Morgan, of course, isn't done haunting local Democrats. Monday night, he sent the Inlander a list of purported problems with the Democrats' most recent PDC filing. "This is exceptionally sloppy," Morgan writes. Last Thursday, he filed another complaint. In 2014, the PAC "Spokane Citizens for Political Education" paid a polling firm $12,400 to examine how Stuckart would fare against Mayor David Condon, but never reported it. The PAC had been run by Nick CastroLang, Jim's son. "I'll look into what happened," Nick CastroLang said when the Inlander asked about the discrepancy. As for Biviano, he's eager to focus on, well, politics. He holds up his cellphone to show an Inlander reporter a YouTube video, filled with animated charts illustrating the outrageous level of income inequality in America.